You will be required to raise your Greenhouse off the floor to prevent it being in contact with the ground. We offer you an effective solution to help protect your building. Our Pressure Treated base provides you with a platform that securely anchors your building into the ground, giving you with extra stability. It is pre-treated to resist moisture.and also it gives you additional headroom. Maximise the storage capacity of your Greenhouse with our simple shelving solutions. Add this option to add floor space by storing items around the greenhouse. The shelf is T&G pre-machined supplied flat pack for simple assembly, requires simple assembly. •	All Round - Add shelving down both sides and along the back wall of your greenhouse, maximising the storage potential of your new shed. 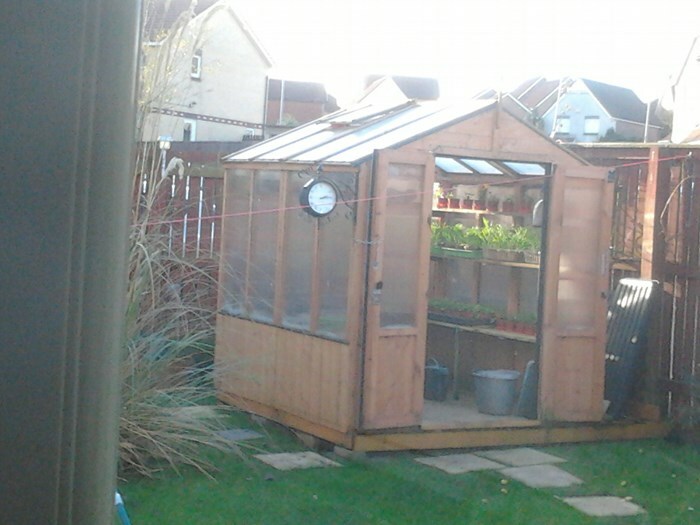 •	Two Sides - Add shelving down both sides of your greenhouse, increasing the storage potential of your new shed. •	One Side - Add shelving down one side of your greenhouse, adding to the storage potential of your new wooden greenhouse. 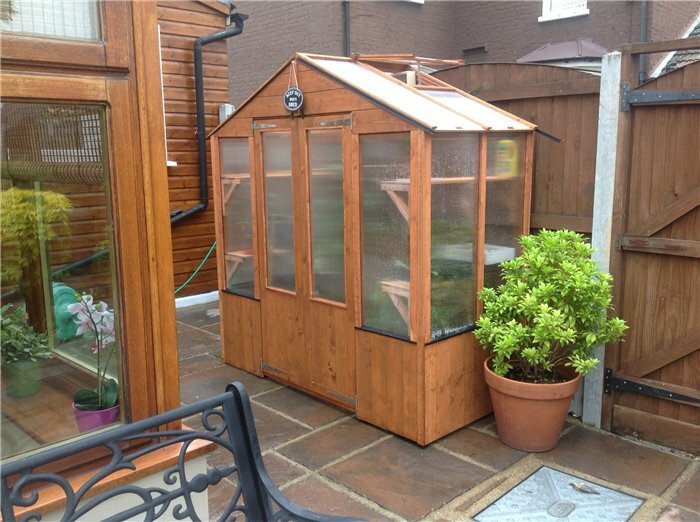 Protect your much loved foliage or plants with sturdy BillyOh 4000 Lincoln Wooden Polycarbonate Greenhouse. 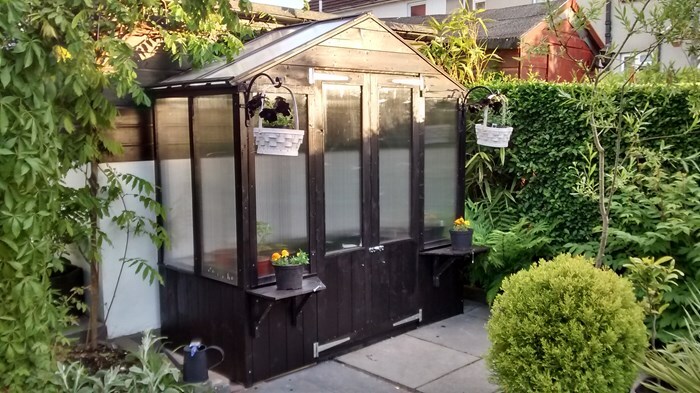 This polycarbonate greenhouse was framed with hard and heavy-duty wood. This greenhouse not only keeps the plant organized, it also helps control temperature and lightings that may affect to plants and fruit production or even flowers to bloom beautifully. The polycarbonate wall and roof panels help insulate the plant every winter or bad climate. This greenhouse is easy to assemble and with lots of sizes yet sturdy and stylish construction you can’t resist. Width 192.8cm 6'4" 192.8cm 6'4" 192.8cm 6'4" 192.8cm 6'4"
Depth 92.3cm 3' 180.2cm 5'11" 268.1cm 8'10" 356cm 11'8"
Width (Internal) 176cm 5'9" 176cm 5'9" 176cm 5'9" 176cm 5'9"
Depth (Internal) 87.9cm 2'11" 175.8cm 5'9" 263.7cm 8'8" 351.6cm 11'6"
Ridge Height (External) 197cm 6'6" 197cm 6'6" 197cm 6'6" 197cm 6'6"
Ridge Height (Internal) 195.6cm 6'5" 195.6cm 6'5" 195.6cm 6'5" 195.6cm 6'5"
Door Opening Size (w x h) 88.3cm x 158.5cm 2'11" x 5'2" 88.3cm x 158.5cm 2'11" x 5'2" 88.3cm x 158.5cm 2'11" x 5'2" 88.3cm x 158.5cm 2'11" x 5'2"
Door Width 43.7cm 1'5" 43.7cm 1'5" 43.7cm 1'5" 43.7cm 1'5"
Door Height 157.5cm 5'2" 157.5cm 5'2" 157.5cm 5'2" 157.5cm 5'2"
Window Dimensions 38cm x 100cm 1'3" x 3'3" 38cm x 100cm 1'3" x 3'3" 38cm x 100cm 1'3" x 3'3" 38cm x 100cm 1'3" x 3'3"
Base Width 181.2cm 5'11" 127.9cm 4'2" 189.2cm 6'2" 189.2cm 6'2"
Base Depth 87.9cm 2'11" 183.8cm 6' 125.2cm 4'1" 242.4cm 7'11"